The Artists use different techniques for their artworks, where they integrate traditional methods and concepts with contemporary styles. The Pacific heritage is prominent, but post-modern elements project arising issues and values. A confronting issue is climate change and environmental problems. Living on an island that has recurring floods, cyclones, and other natural disasters poses threats to the Pacific Islands, since people become displaced from their homes and have to adjust to new living conditions. The artists reflect these present-day issues in their artworks, but portray them through the combination of traditional and non-traditional media and techniques (Higgins, 2009). 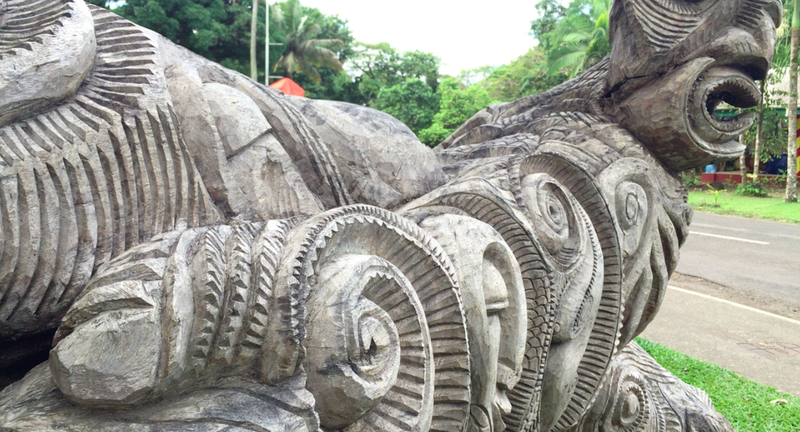 Carving has been emblematic in Fiji, where wood acts as the medium that correlates art with the environment. The techniques used have been taught from ancestors; however, there is a stream of subjectivity and expression in the artworks. Paula Ligairua is an artist who explicitly uses traditional methods of carving with tools that are specifically designed for scraping and grating. The intricate patterns and outlines are skills that were taught from his father, but he composes the sculptures through an expressive modern outlook. The tradition to carving is diminishing since interest is gradually decreasing, so he reflects on this by combining the tradition with creativity to open up opportunities. Weaving is another traditional practice, used for expressive purposes. Native plants like coconut leaves, Cocos nucifera, are used to make natural fibers, hence are woven into many things such as clothing, baskets, ornamentation, rope-making, and even buildings (Kitalong et al., 2011, pp. 75-77). The robust connection of plants with culture is conspicuous in Pacific art. 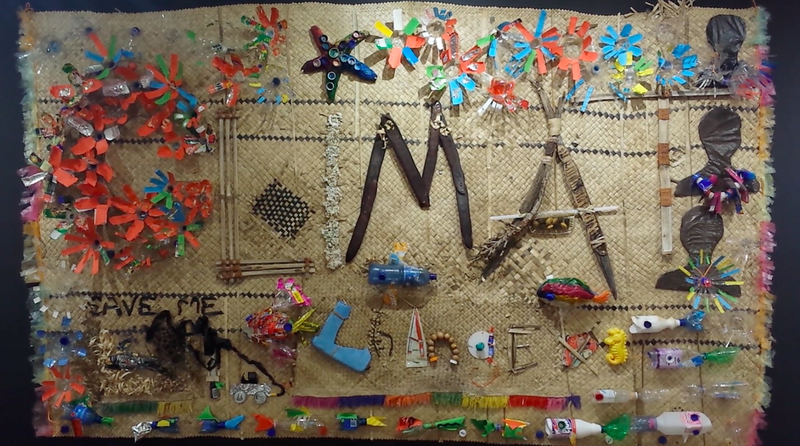 Pacific artists also use weaving with unconventional materials to illustrate their world. Artists like Johanna Beasley have deployed this method to portray the dangers of pollution by combining rubbish with weaving. The artificial materials woven into the mat symbolise the present-day landscape of the Pacific, since non-degradable pollutants are damaging its natural environment. Higgins, K. 2009. ‘The Red Wave Collective: The Process of Creating Art at the Oceania Centre for Arts and Culture’. The Contemporary Pacific 21:35-70. Kitalong, A.H., Balick, M.J., Rehuher, F., Besebes, M., Hanser, S., Soaladaob, K., Ngirchobong, G., Wasisang, F., Law, W., Lee, R., Tadeo, V.R., Kitalong, C. & Kitalong, C. 2011. ‘Plants, people and culture in the villages of Oikull and Ibobang, Republic of Palau.’ In G.R. Clark, J. Liston and D. Alexander (eds.) Pacific Island Heritage. Canberra: ANU E Press.